FFA makes a positive difference in the lives of students by developing their potential for premier leadership, personal growth and career success through agricultural education. 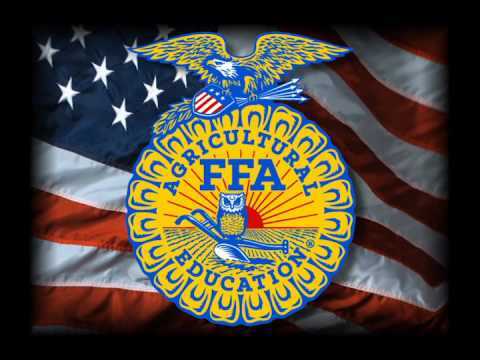 Students whose lives are impacted by FFA and agricultural education will achieve academic and personal growth, strengthen American agriculture and provide leadership to build healthy local communities, a strong nation and a sustainable world. The focus of the COS FFA is to equip students for potential careers in farming and raising livestock. They study soil, horticulture and animal care, while learning leadership skills. This active club has toured a variety of farms in Illinois and the surrounding area. They have attended the last three National FFA Conventions, the latest in Indianopolis, IN, and have participated in several FFA competitions. In October 2017 our FFA participated in an Urban Farming Tour of New York City. The students visited rooftop gardens to see them in action, as well as several farmers markets to see how fresh produce is distributed. They even got to see a Broadway production and visit the 9/11 Memorial while they were there. Lisa Luebkemann is the FFA Advisor.